New Product! 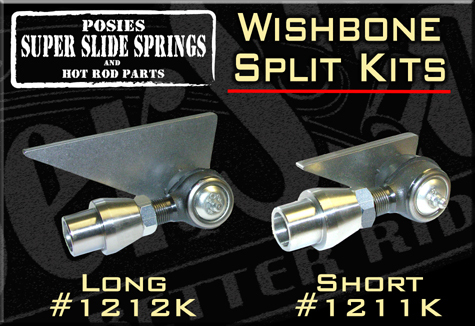 Use Wishbone Split Kits when splitting Ford wishbones to the framerails. Ideal when a traditional hot rod look is desired. Kits come with choice of two frame tabs, tie rod ends with jamb nuts and weld in threaded bungs for the wishbones. 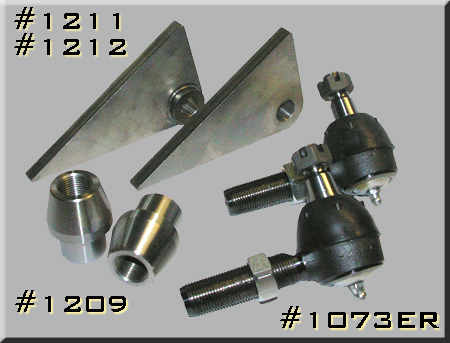 Short split kit is used with 1932-34 Ford frames while the long split kit is used with Model A or straight rail frames. Kit can be upgraded to stainless steel tie rod ends.